Physical Education, Sport Medicine Concentration, B.S. This concentration provides students with knowledge, skills and expertise for advanced training in many areas such as physical therapy, occupational therapy, cardiac rehabilitation, exercise physiology/biomechanics. The concentration qualifies an individual for possible careers in these areas and further scientific training in graduate school. A 3.3 or better GPA must be attained for admission to a professional school. Complete a maximum of 124 semester hours with a cumulative grade point average of 3.3 or better. 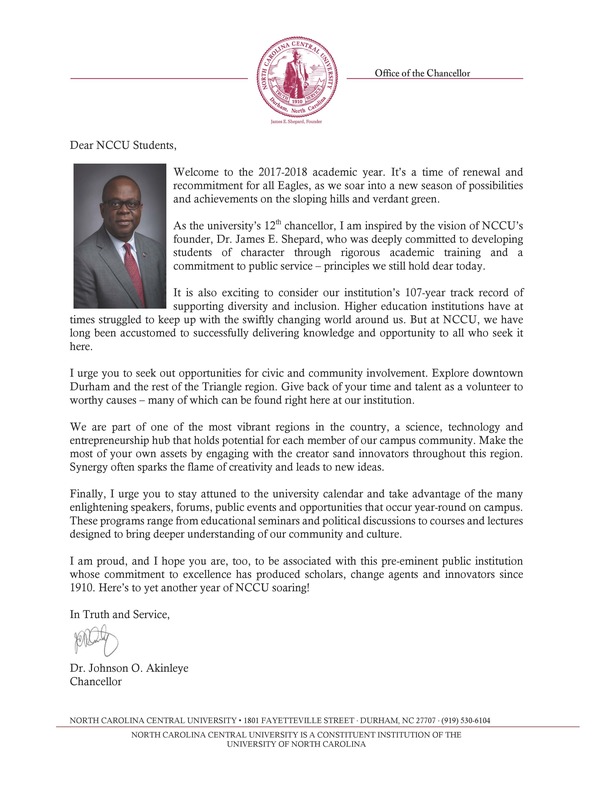 The last 30 hours must be completed at NCCU. Students must repeat ‘D’ and ‘F’ grades in major and non-major required courses. Freshman and sophomore years: complete General Education Curriculum required by the university as detailed on the four-year course of study. Students must have a ‘C’ or better in ENG 1110 , ENG 1210 , MATH 1100 and MATH 1200 . If not able to swim, must take PEDU 1100 Beginning Swimming before enrolling in the required PEDU 2100 Intermediate Swimming Course. Students must complete all course requirements before registering for PEDU 4640 . Students cannot complete the internship with any grade below a ‘C’ in Biology, Chemistry, Physics, and Math courses.